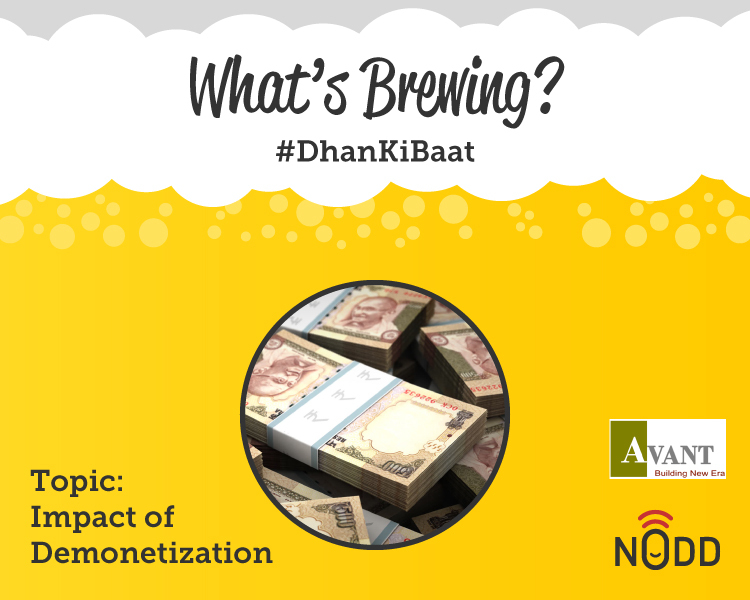 What's Brewing is the concept of an informed and educated discussion on the most talked about the current issue while sharing a freshly brewed beer! Independence Brewing Company opens its doors and distillers, to an off-beat and professional networking experience for beer lovers, put up by NODD. This NoddOut is a one-of-its-kind get together, not only for connoisseurs of the drink, but also a beneficial gathering to expand the horizons of knowledge and technique. Come enjoy a healthy discussion on Demonetisation from the learned, hailing from various backgrounds. At the NoddOut we are calling a roundtable to discuss this policy's future effect on the different sectors/industries in India. We wish to answer questions that achievers in the industry have, about this move. As the dialogue fills the air with warmth, A very passionate home brewer, will interest the group in the history of brewing chilled beer before and in between the discussion. The talk will then be interspersed with beer tasting and understanding different nuances of beer. CEO of an Investment bank with a presence in India, Switzerland, Italy, USA and France. DEAN at a leading management Institute : The first institute dedicated to research & study of Investment Banking, Strategy & Family Office management. Prior to this he was CEO of Indian sub of a Swiss Bank into Investment Banking and the Dy. CEO of a Swiss subsidiary in to brokerage & wealth. He has spent 2 years as part of the senior management team with a mandate to start FirstRand Bank in India. Prior to FRB he was at HDFC securities as a Business Head- heading Retail & Wealth (Branches, NRI , HNI, IPO & other businesses) Reporting to the board. He had a stint at Principal PnB financial planners (a member of the Principal Financial Group- a fortune 200 CO) as Head Distribution with a mandate to set up distribution across 7000 branches of Punjab National Bank, Vijaya Bank & Indian Bank. CEO of an Investment bank with a presence in India, Switzerland, Italy, USA and France. \n\n DEAN at a leading management Institute : The first institute dedicated to research & study of Investment Banking, Strategy & Family Office management.\n\n Prior to this he was CEO of Indian sub of a Swiss Bank into Investment Banking and the Dy. CEO of a Swiss subsidiary in to brokerage & wealth. \n\n He has spent 2 years as part of the senior management team with a mandate to start FirstRand Bank in India. 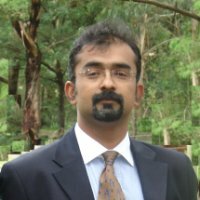 Prior to FRB he was at HDFC securities as a Business Head- heading Retail & Wealth (Branches, NRI , HNI, IPO & other businesses) Reporting to the board.\n\n He had a stint at Principal PnB financial planners (a member of the Principal Financial Group- a fortune 200 CO) as Head Distribution with a mandate to set up distribution across 7000 branches of Punjab National Bank, Vijaya Bank & Indian Bank.